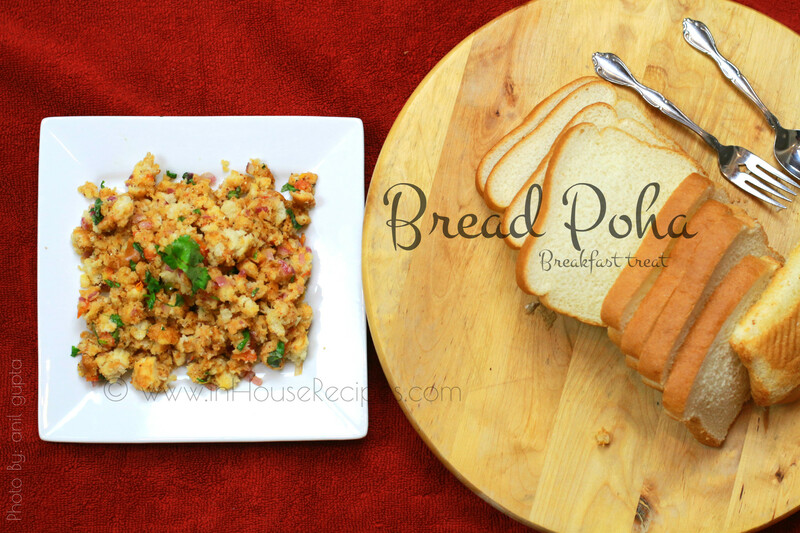 Bread Poha is a snack which can be easily made with no special ingredients. It only needs the normal plain bread that you normally have at home. 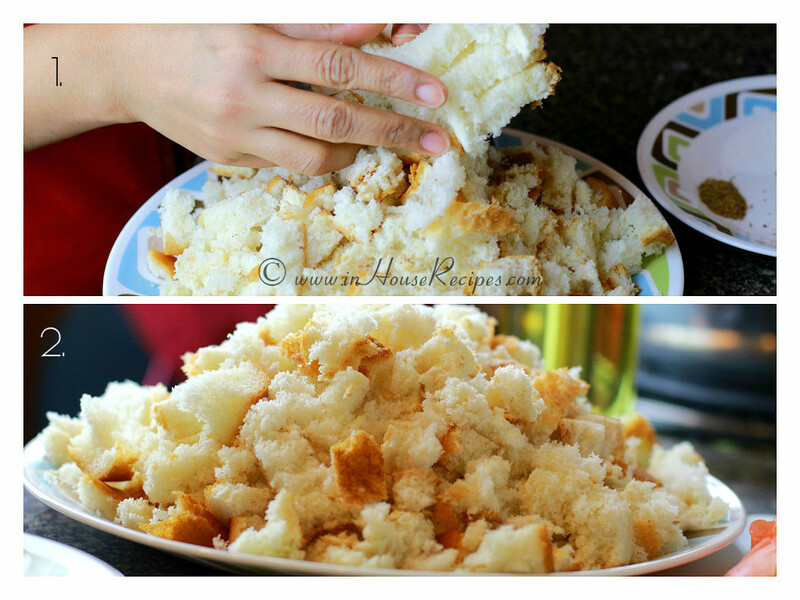 I remember, we discovered this recipe to find a way of utilizing the hard bread pieces (the ones at top and bottom). We used to throw them as no-body ever volunteered to eat them. My mother-in-law mixed them up with Tomato-Onion spicy tadka one day and everybody liked it and hence gave birth to this Jugaad (a workaround). 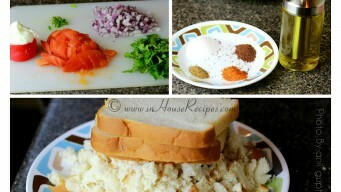 It is certainly a make-shift recipe but can prove pretty vital in times of extreme hunger. 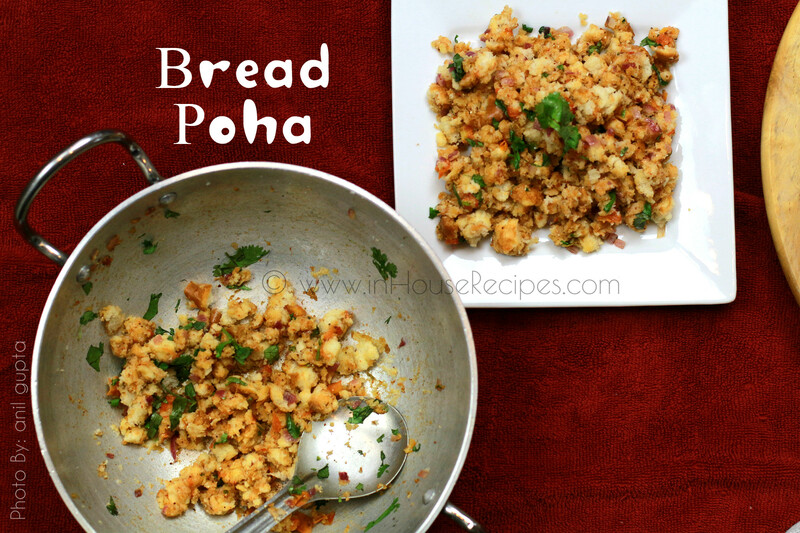 Easy to make, great in taste and quick to kill hunger are three qualities that Bread Poha is famous for in our home. We normally have it in morning breakfast if we are bored of other options. You can use brown bread to make it a healthy deal. We are also adding vegetables like Onion and Tomato. You can pretty much anything that you like to eat. For example, some people would add Paneer (Ricotta cheese) pieces or Peas. 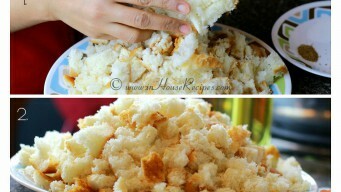 This recipe makes bread poha with Curd. 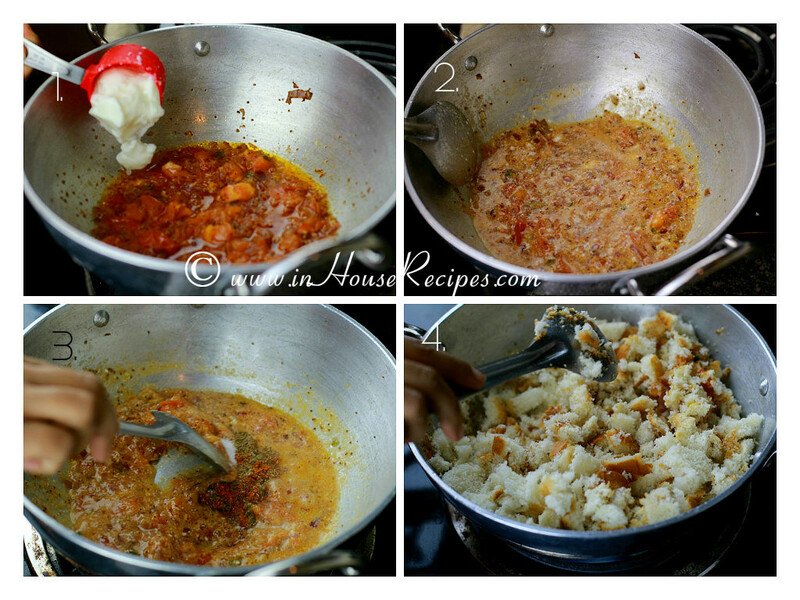 Bread Poha curry is another option that some people like to try. This recipe makes the dry version and has no curry. 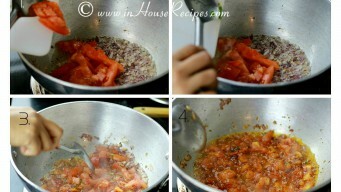 Start with Chopping Onion, Tomato and Green Chili into fine small pieces. Take 2 bread slices at a time and tear them into small pieces. Do the same with rest of the slices. 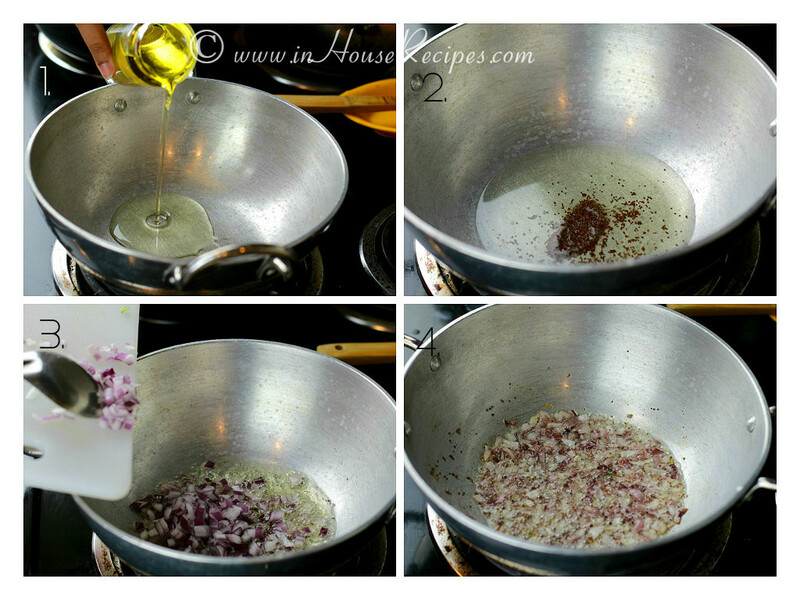 Switch on the stove and add oil. Heat Oil on high flame for 3 minutes. 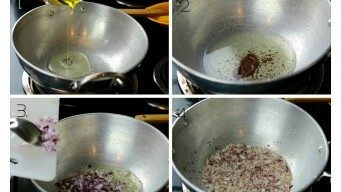 Once Oil is hot, add Red Mustard Seed. Wait for 10 seconds and then add chopped Onions. Let Onions fry until they get pink in color. 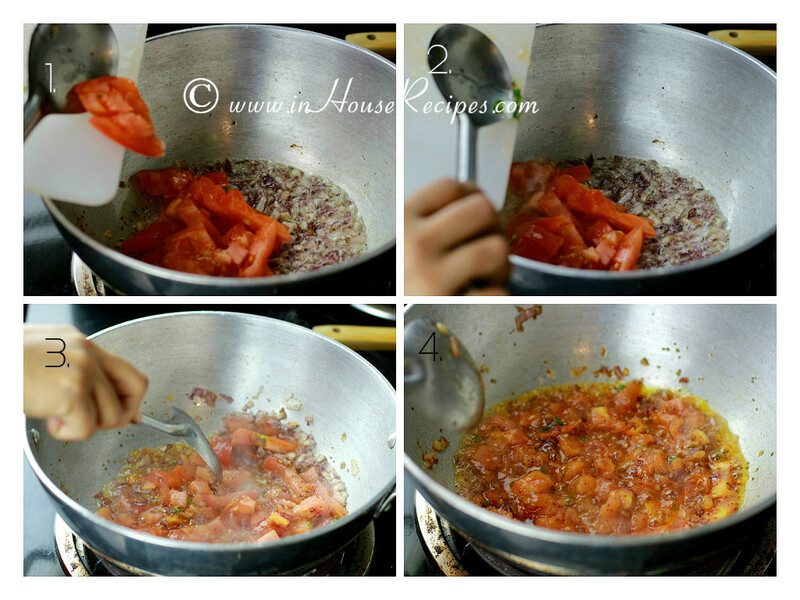 Once Onions change color, add chopped Tomatoes and Green Chilies. After 1 minute, add Salt, Garam Masala, and Red Chili Powder. Mix it well. After 1 minute, add Curd and cook for 1 minute again. 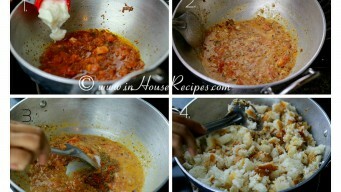 Tadka Masala mixture is ready for bread poha. 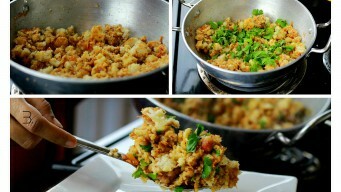 Now add bread pieces and mix well. 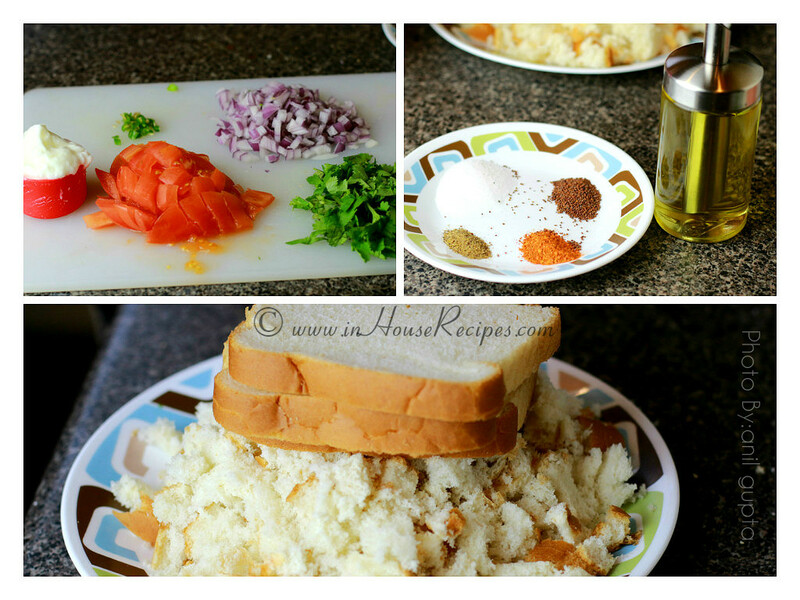 Make sure each piece of bread is wrapped with the masala. 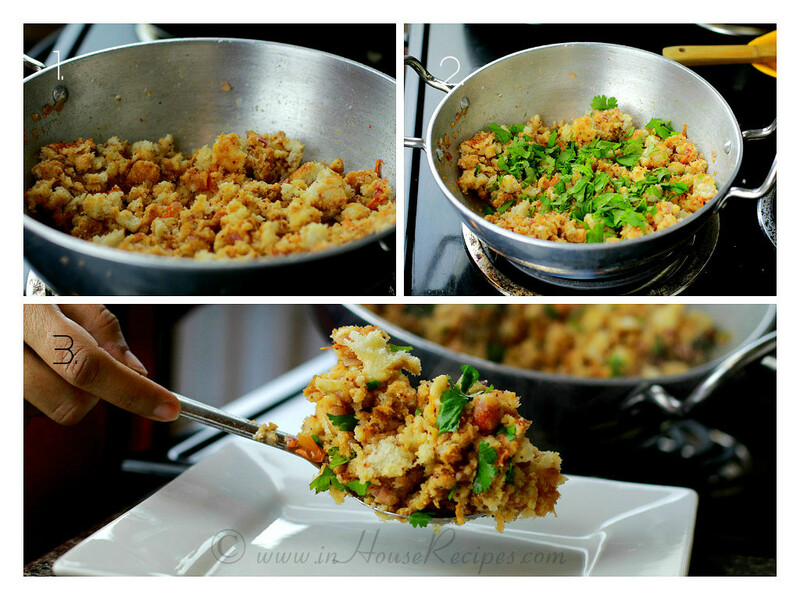 Add chopped Coriander Leaves and switch off the stove. Cover the pan for about 1 minute. After 1 minute, mix it well. 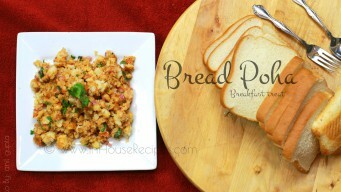 Your Bread Poha is ready to serve. 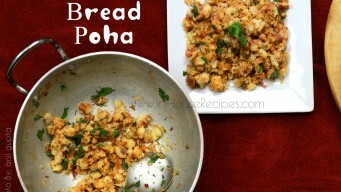 Consume or serve bread poha as soon as you make it. We do not recommend to refrigerate it. Bread pieces lose moisture and hence dry up. Some people like to eat it with Chili sauce or tomato ketchup.